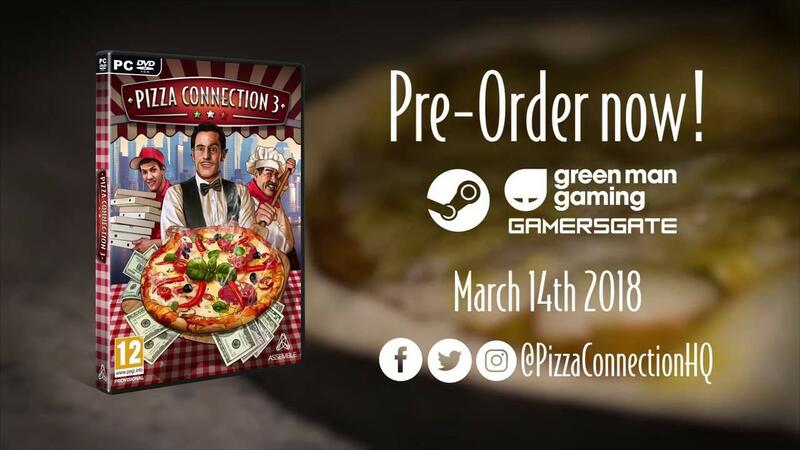 Pizza Connection 3 [Steam], the simulation and strategy game that is coming to Linux now has a fresh gameplay trailer and a release date. If you want to see more footage, they also did a livestream. I think it's shaping up quite well and I did spend a lot of time in my youth playing the original game. I'm a huge fan of management sims and as a big fan of Pizza as well, it looks like a rather delicious game! It's also making me rather hungry, all this talk about Pizza. I'm quite excited to see what kind of sabotage options they will have on offer, it would be quite amusing if we could infest an enemy restaurant with rats and see people run out screaming. I don't recommend doing it, but they have pre-oders open right now on Steam. I will see if I can get a review key when it's much closer to the release, so I can give it the usual look-over. Thanks for the tip KuJo! https://www.youtube.com/watch?v=pG6CugyGZmM 1:30h recorded livestream, with gameplay footage. Whelp , so much for any diets for the near future. I'm not sure if I could ever play this game. Making vegan pizzas is sacrilegious. This game is an afront to all sensibilities if you have to make veggie pies. stretch611 I'm not sure if I could ever play this game. Making vegan pizzas is sacrilegious. This game is an afront to all sensibilities if you have to make veggie pies. Don't get me wrong... there is nothing wrong with a good cheese (plain) pizza. I would argue that the true test of whether or not a pizzeria makes good pizza is to taste their plain pie. But, if you add toppings, you must add meat... Pepperoni, Sausage, Meatball, Ham. You can get away with some veggie toppings like onions, extra garlic, or jalapenos... BUT, you must add some meat first. I'll probably give this a try, too. Also spent a lot of time with the previous games. I hope the pizza decoration is not as annoying, though. In the former parts of the series, if you did not decorate to a very specific set of attributes, people wouldn't like your pizzas. It was pretty weird.